However, ‎it does not seem the incumbent president stopped at arguably making the most important call in the history of Nigeria. The former varsity lecturer ensured that the move to slash the powers of the presidency over his consent on future constitutional amendment by the National Assembly was quashed with utmost impunity but in accordance with laid down constitutional procedure. As reported by Premium Times, Mr Jonathan in a seven-page letter responded soundly by seeking "credible evidence " in support of the proposal by the required number of federal and state legislators to dispense the powers of the president in future constitutional amendments. 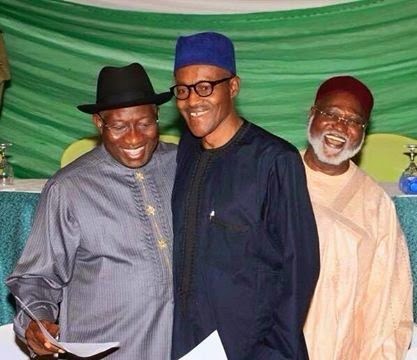 However, Jonathan's decision to discard the proposal to slash the constitutional power of the presidency to assent to future amendment of the 1999 Constitution, was in good fate of the principle of 'separation of powers' between the three arms of government which largely benefits Buhari, the president elect, as the move by the National Parliament was practically targeted to cripple the General who must rely on the fundamentals of the constitution as a democratically elected president. It is apparent that denial of presidential assent to the amendment of the 1999 Constitution tantamount to the national legislators manipulating and amending the the greatest law of the land to suit their taste and faction. Jonathan's appropriate response to this proposal would be music in the ears of Buhari who would want to have a firm grip on the constitution. He stated clearly that "assuming without conceding that the necessary thresholds were met by the National Assembly, there are a number of provisions in the Act that altogether constitute flagrant violation of the doctrine of separation of powers enshrined in the 1999 Constitution and an unjustified whittling down of the executive powers of the federation vested in the President by virtue of Section 5(1) of the 1999 Constitution".